I used CAS-ual Fridays Heart Beats for the sentiment and the Double Note Fri-die, cut 4 times and covered in a thick layer of glossy accents. The music stamp is from Waltzingmouse Musical Backgrounds. 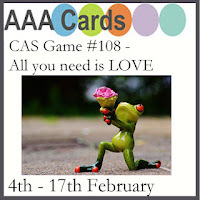 The teeny tiny gold hearts are also from a CAS-ual Fridays die - Lovely Links. Hope your weekend is fun filled and full of love! So beautiful, Claire. The blend is gorgeous, love the glossy black, and those teeny tiny hearts are a great addition to finish it off. Beuatiful blended background and those note - how mega shiny and eye popping are they! Thanks for joining in with the current challenge at AAA Cards. 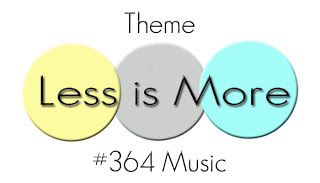 Thanks so much for sharing and for playing along at Less is More. 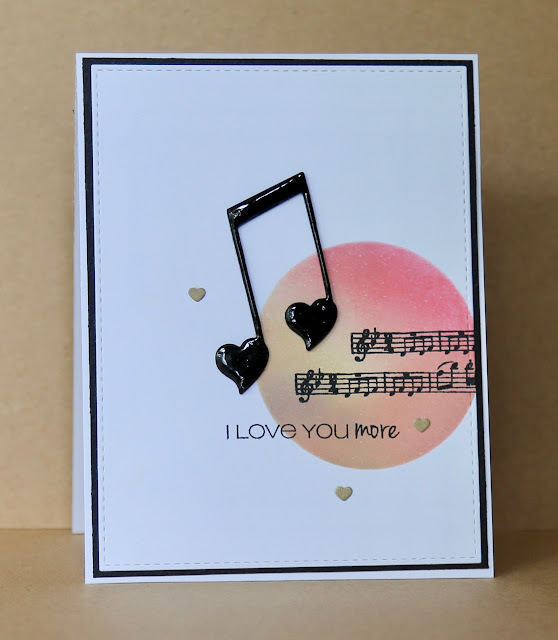 Gorgeous card with the musical notes! Lovely inked background in soft color, too! This is lovely, Claire. Thanks for playing along with us at AAA Cards with this ink-blended beauty. Such a pretty card. Love the softly blended background. Thanks for joining us at AAA Cards challenges.